2018 UPDATE: At the time of this recording, I was feeling in spired by 3 artists; The Submarines, Morgan Page, and the great Swedish DJ/Producer, Avicii. I dedicate this mix in Avicii’s honor, may he rest in peace. I do not know the exact date of this album, but it was recorded in 2013. It was my attempt at producing something that was loungey (is that a word?) that would eventually explode with energy from a few massive club-banging hits. Prior to mixing this album, I was looking everywhere for inspiration. I found it in an unlikely place (YouTube) while watching an unlikely video (The Submarines, 1940 [Section Quartet Mix]), which ended up being the first track in the mix. The band recorded a YouTube video while playing the song organically, and that’s what really inspired me. This song influenced the loungey beginning for the album. I had also been wanting to record something with a lot of lyrics. You will notice that the vast majority of tracks in the album have lyrics, which is different than many of my other recordings. 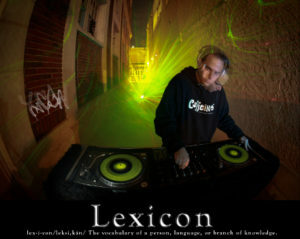 For this reason, I named the album “Lexicon” (which was also a play on the letters, “le-X-i-CON.” The word “lexicon” is defined as the vocabulary of a person, language, or branch of knowledge. 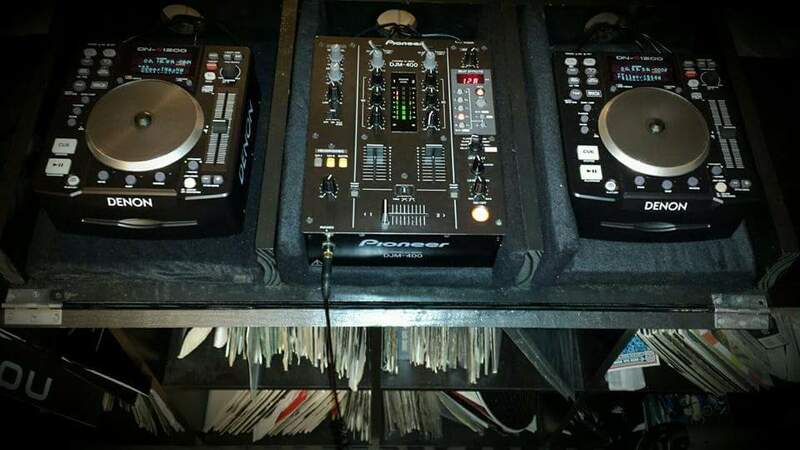 Recorded using Denon DN-S1200 controllers and a Pioneer DJM-400 mixer – no computer software.